LeAnn Rimes is bringing her country-pop appeal to Golden Nugget Lake Charles. The two-time Grammy Award winner is coming to Lake Charles, Louisiana on Saturday, May 18 and fans can purchase tickets starting Friday, Feb. 15 here at AXS. Rimes first exploded onto the music scene as a country singer in 1996, with her debut album Blue featuring the smash, hit single of the same name. The record gave her a place in music history, as the then 14-year-old Rimes became the youngest artist to win a Grammy in 1997 when she won both Best Female Country Vocal Performance and Best New Artist. She also was the first country performer to be named Best New Artist. In the decades since, she's ventured into pop music and back again, while also developing a career as an actress. She performed the dance-pop single "Can't Fight The Moonlight" for the 2000 movie Coyote Ugly, in which she also provided the singing voice for the main character. Rimes has also starred in several TV-movies, including "Northern Lights" for Lifetime and last year's "It's Christmas, Eve" for Hallmark Channel. As her career has developed, so has her sound; Rimes still has an amazing vocal ability, but in her later releases she sounds even more confident and in control. Her most recent release is 2018's Re-Imagined, an EP which consists of five re-recorded versions of her biggest hits, including new versions of "Blue" and "How Do I Live." She also just released a cover of Rihanna's "Love on the Brain" this week; you can listen to it by playing the video above. Whatever she's singing, she has a way of grabbing the audience's attention, so fans of either country or pop will want to catch her in concert. She's still as worth listening to as she was more than 20 years ago. Tickets for LeAnn Rimes at Golden Nugget Lake Charles go on sale Friday, Feb. 15 at 10 a.m. local time through the AXS event page. Ticket prices and more information are available on the event page. 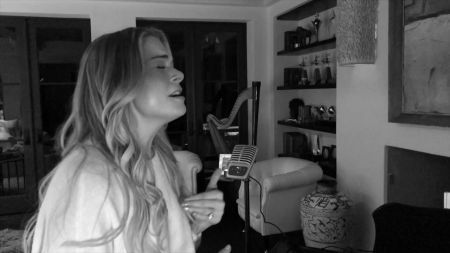 For more on LeAnn Rimes, including tickets to her upcoming concerts, visit her artist page at AXS.